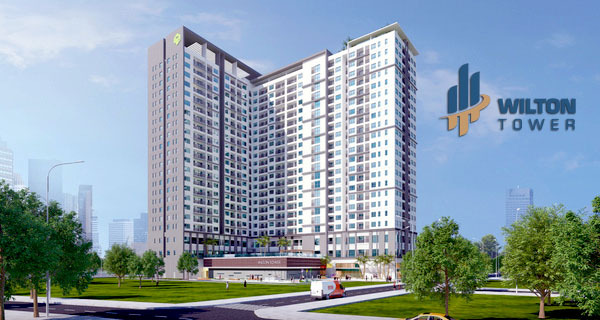 Topaz 2 apartment is one of the most attractive luxurious apartment blocks in Saigon Pearl - the ideal place for living with the wonderful natural and high intellectual area to ensure absolute safety for residents. 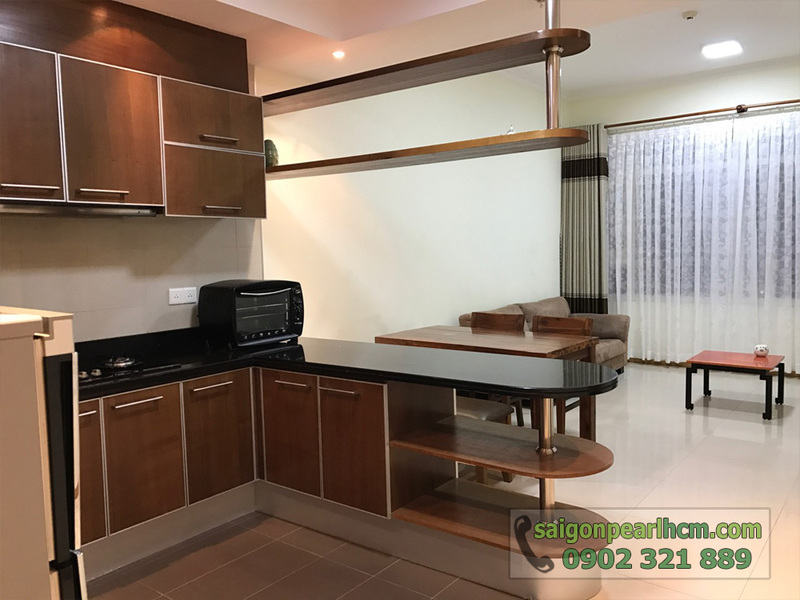 Saigon Pearl apartment for rent with total usable area of 86 sqm including living room, 2 bedrooms, kitchen and 2 bathrooms which is very suitable for 3 - 4 family members. 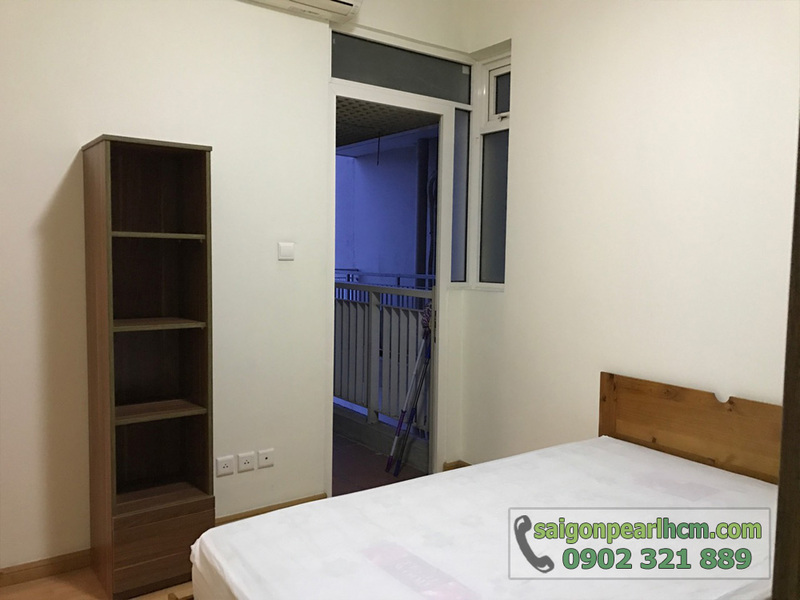 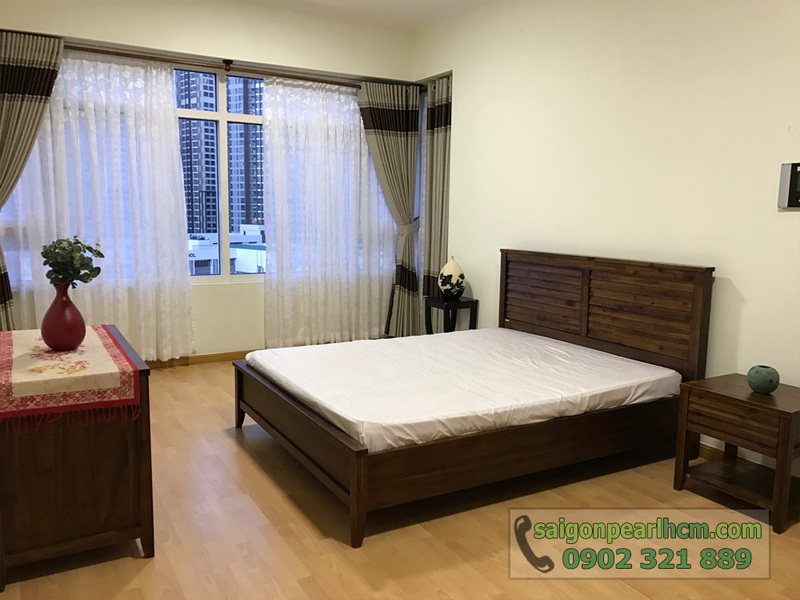 The landlord brought and decorated this apartment with full of beautiful and modern furniture which is arranged into simple but morden style to meet all daily needs. 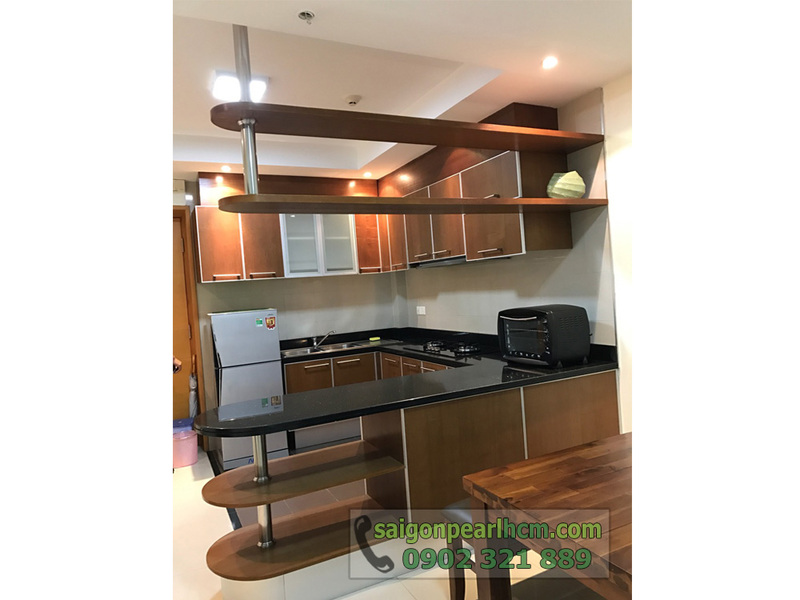 One of features in the Saigon Pearl apartment is the glossy black dinning table in middle of the living room and the kitchen. 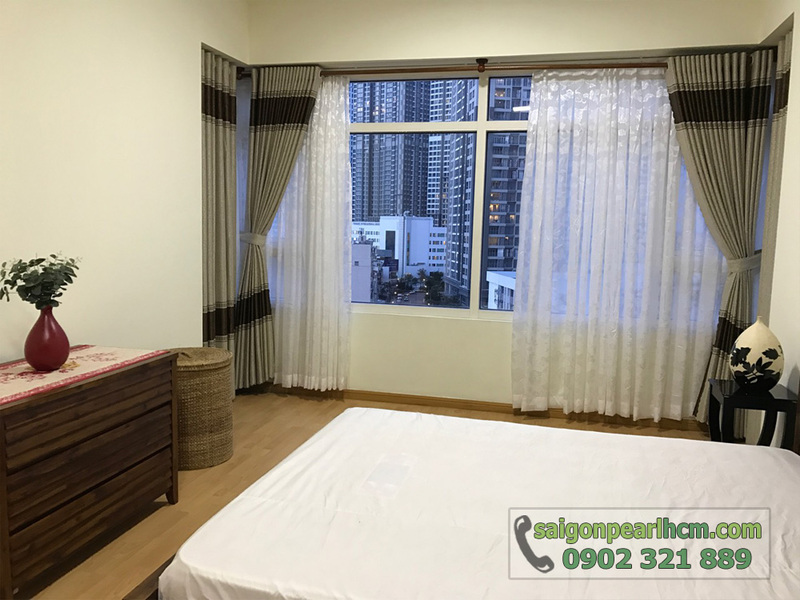 There is great sofa, small coffee table, TV LCDs, TV cabinet in the living room and especially the large glass window to create the best vision when you enjoy the beautiful scenery in Saigon city at night. 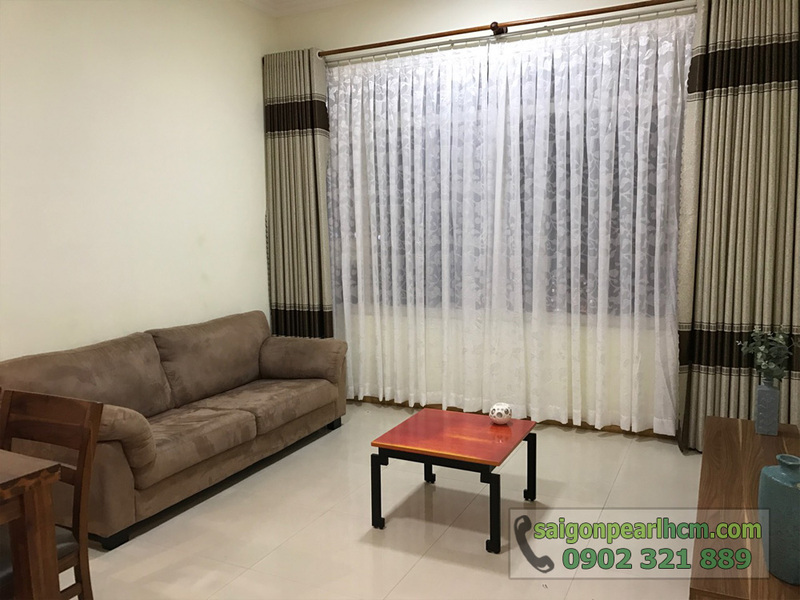 Not only that, the living room is also installed with the big curtains to prevent the solar radiation for tenants. 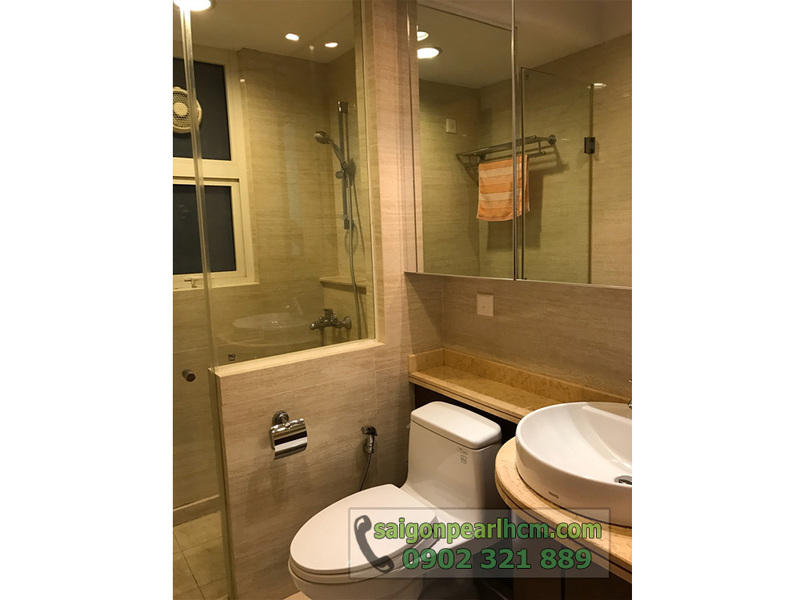 The bathrooms are designed into the cubicle with shower head, in the wall there are many small shelves that contain conditioner, showergel, shavingfoam, toothbrush, toothpaste, shampoo, razor, ... and towel hooks. 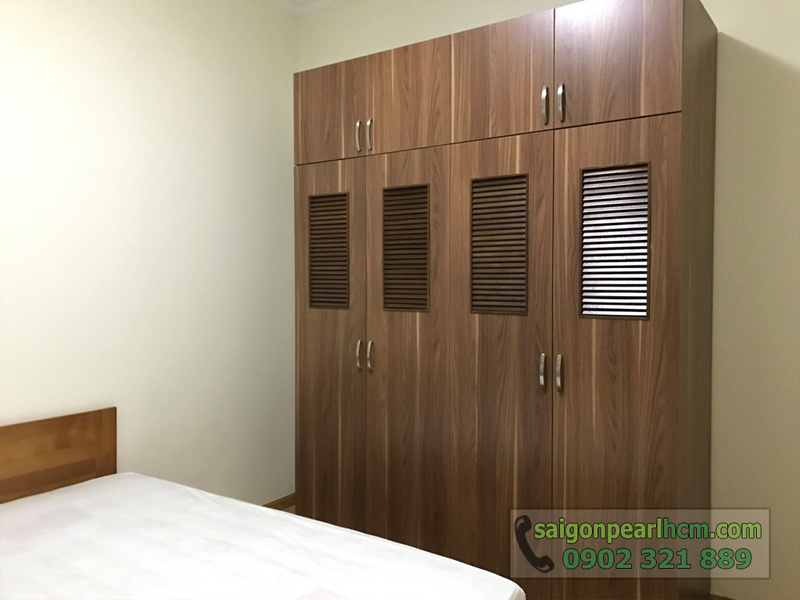 The bedrooms of Saigon Pearl apartment are decorated with colorful hanging pictures and big wardrobes, dressing table and high-quality mattresses. 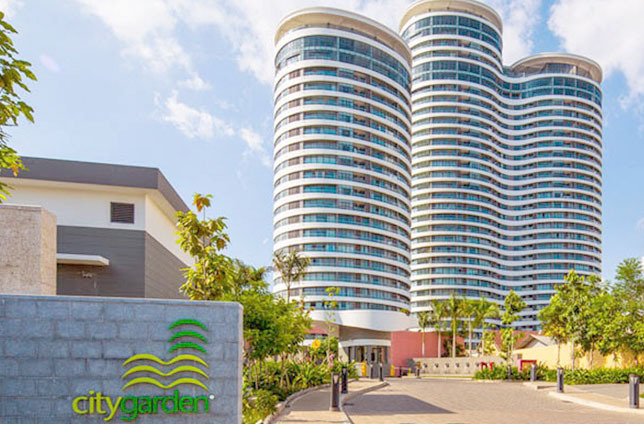 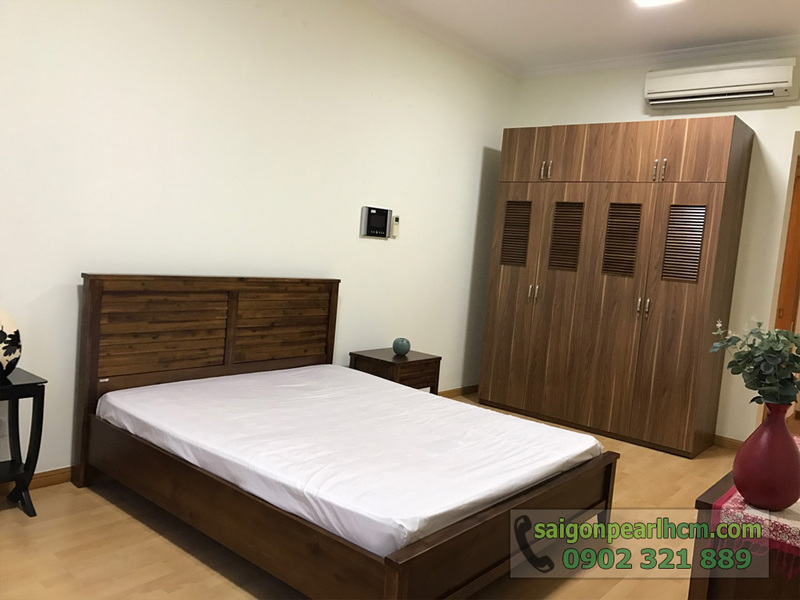 The distinctive feature of Saigon Pearl apartment is convenient traffic in Binh Thanh District, from here, it is very easy to move to many famous places in Ho Chi Minh City as well as surrounding amenities. 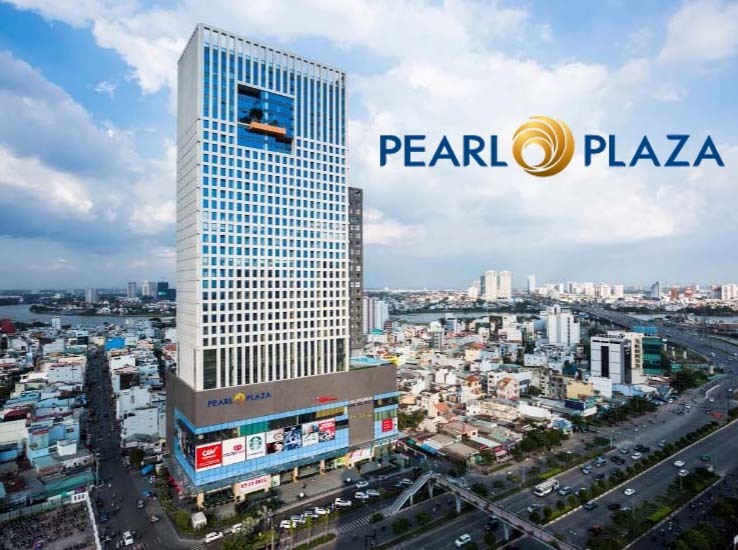 The rental price of Topaz 2 apartment for rent in Saigon Pearl is 950 USD per month ~ 21.5 million VND (including management fee) and is converted into VND following the bank rate at the time of rental. 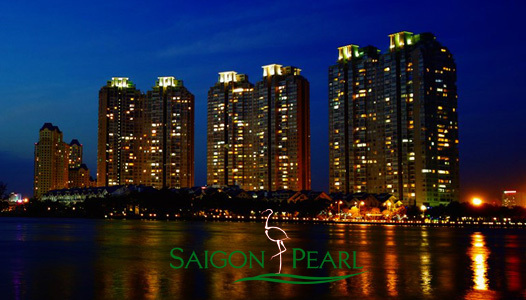 If you need more information or want to consult specifically, please feel free to call us on the hotline. 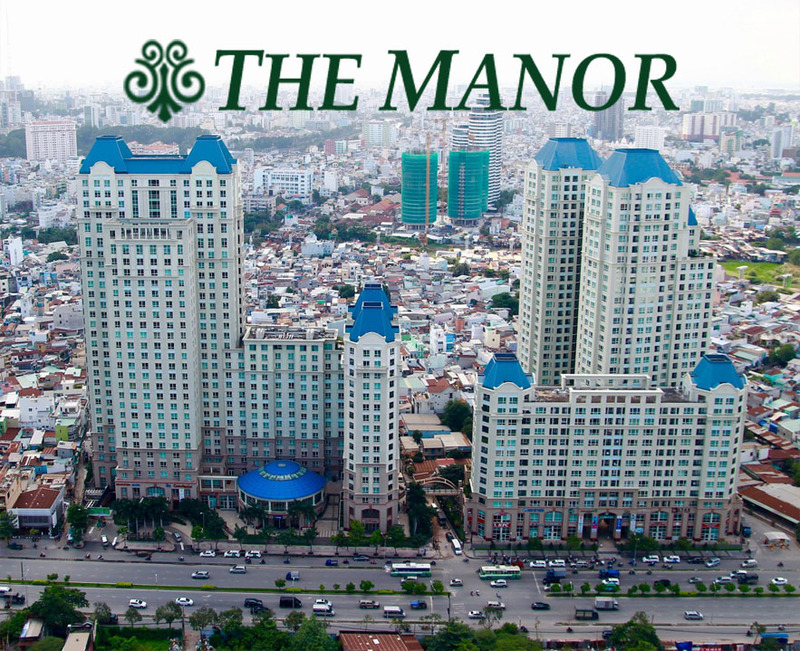 You will be server quickly and effectively by our leading of real estate professionals in Binh Thanh District.